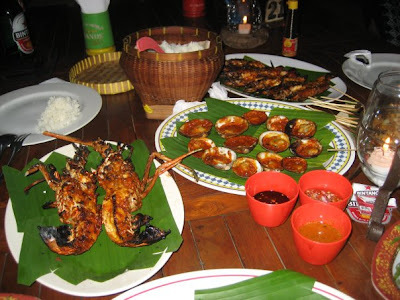 One of the most famous dinner destinations in Bali (and possibly Indonesia), Jimbaran Seafood Restaurants. However, we always chose to eat @ Ubung Cafe or Nyoman Cafe when we went there. There are not many choices in terms how to cook the seafood – it was mainly grilled. 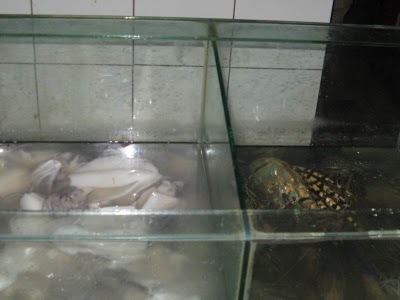 You would typically need to choose your live seafood from the aquariums and they would need to weigh the food, before they grilled them. We were given three condiments (yummy peanut sauce, hot and sweet soy sauce, and chilli) and a complimentary stir-fried water spinach and rice. We ordered the most famous crustaceans, Grilled Lobster. Easily the most expensive dish in the area, the lobster came in different sizes. The lobster was really exceptional and sweet. As with all lobsters, it would be great to actually peel their shells before cutting into small pieces. 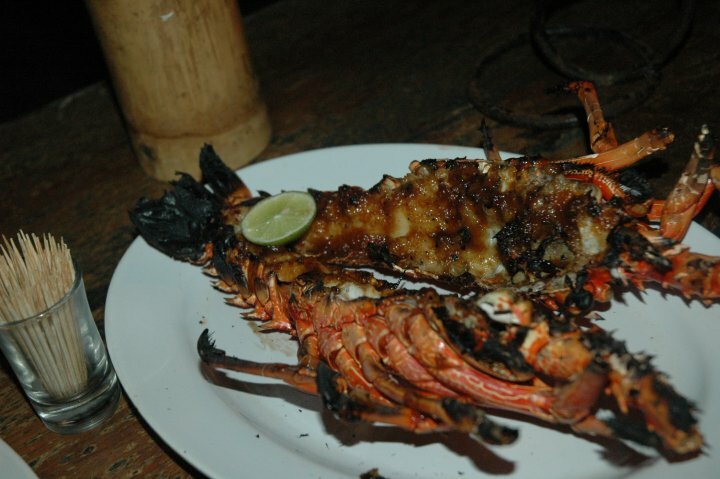 Clawing into the lobsters’ meat straight away would result in difficulties in acquiring the leftover meat on its shell. Our next dish was Grilled King Prawns. 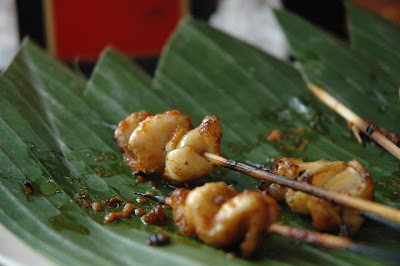 Personally, I like the king prawns better than the lobster because the meat was actually softer. 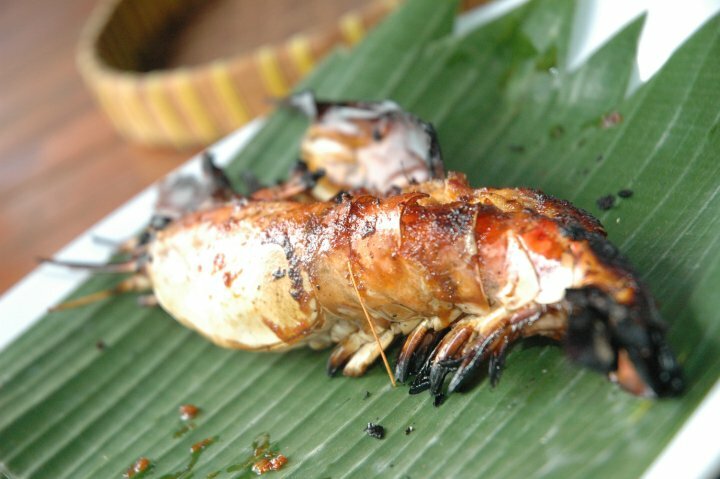 The king prawns have a similar grill sauce to the lobster. 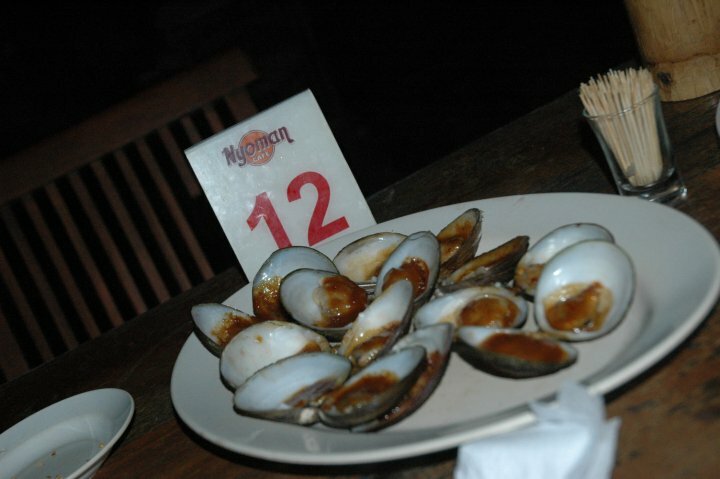 We also ordered Grilled Mussels and Grilled Squids. I was a little disappointed with the squid because apparently they took away the tentacles. However, both dishes were very nice and fresh. There are not much options for the drinks, they are either beers, soft drinks or fresh juices. 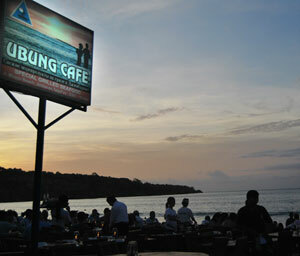 Jimbaran is a very nice beach to go to. You can see the sunset while enjoying your dinner there. You can also see airplanes landing to Ngurah Rai International airport from the distance – the airstrip was actually further into the ocean. 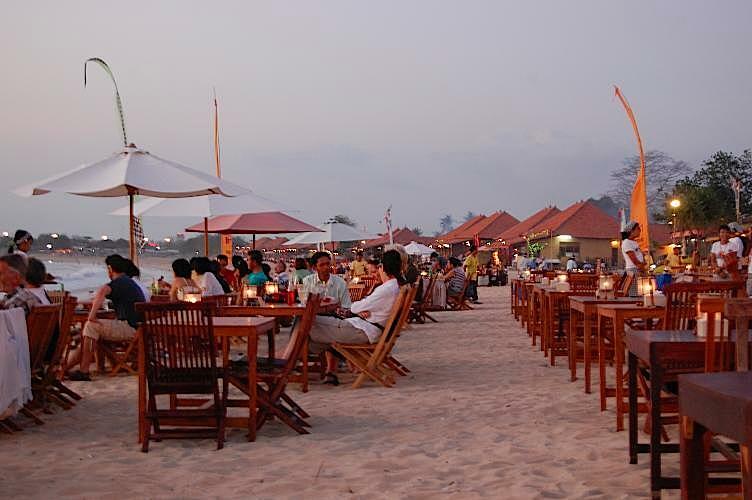 It is also an ideal destination if you just want to walk along the beach. But, there are no water sports and sunbathing at this beach.